We have a comprehensive range of refrigerated vans and trucks with tail lifts with chill +1c and full freeze -20c capability available for immediate hire within Ireland . We understand how important time is to your business. If you experience a refrigeration breakdown, we are on hand to provide replacement refrigerated vans and trucks (to 7.5 tonnes), wherever and whenever you need them. Many would consider us one of the best Refrigerated vehicle hire companies in Ireland. Our refrigerated vehicles can also be used as static or on-site units, with full electric standby plug-in facilities for a variety of refrigeration needs, available across our entire fleet. Butchers – all those extra turkey & geese sales at Christmas time. Retailers – carrying out maintenance or repairs to existing fridges. FUNCTION & EVENT REFRIGERATED HIRE. Refrigerated vans, have rear and side access doors. Refrigerated lorries have easy access rear and side doors and tail lifts on vehicles up to 7.5 tonnes. Electric plug-in standby facility on the refrigeration system ensures Irish Health and Safety standards are met with food & beverage chilled to meet requirements. If you are unable to drive the vehicle to and from your required location, for an additional fee, we can do it for you. With our simple ordering and delivery service, you can sit back and relax knowing we’ve got everything in hand. Add to this the fact that our vehicles are well maintained and our smaller range can be inconspicuous alongside a marquee or building, keeping the focus on the things that matter, your event. 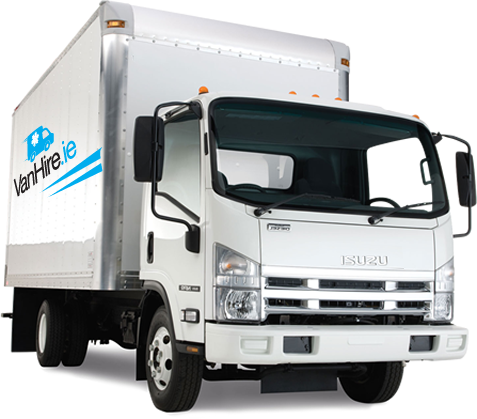 Hiring a refrigerated vehicle from us for your function or event is easy. Tell us your requirements and we can help advise on the right choice of refrigerated vehicle and arrange necessary paperwork prior to collection. Collect your vehicle or Van Hire Ireland can deliver to you. If you’re not sure how long you need to hire for, no problem. Give us a call when you are finished with the unit and we’ll pick it up. For a fast affordable quote give us a call or, go to our van rental enquiry section and we’ll get you sorted. The range of refrigerated vans and trucks have chill +2c and full freeze -20c capability. up to 16 ft. of cargo space, 7500kg gvw & up to 2600kg of load capacity.